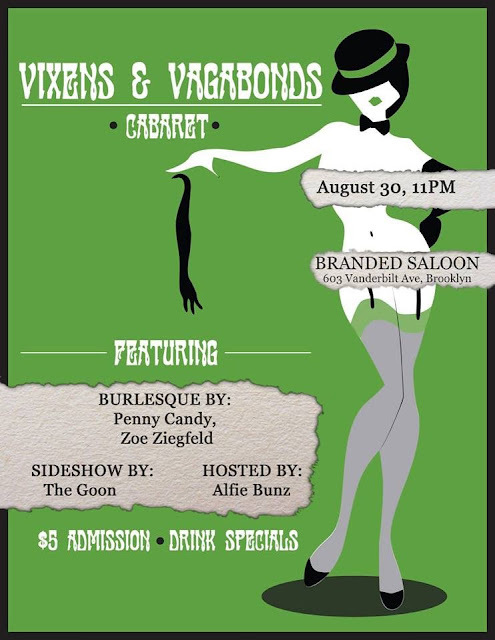 We're bringing the talent back to the Branded Saloon stage with another fabulous show that will shock and seduce you! Every month we're proud to bring our patented mix of the beautiful and bizarre to downtown Brooklyn, and this will be no exception! Featuring spine-tingling sideshow by The Goon! Dazzling burlesque by Zoe Ziegfeld and Penny Candy! Hosted by Alfie Bunz, the sideshow and boylesque wonder!